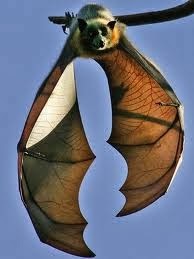 It was very disappointing to discover that the bats at Sydney’s Botanic Garden are no more. One of my fondest memories of Sydney was seeing these large creatures known as the grey-headed flying foxes roost in a small corner of the Garden. Wandering through their habitat and seeing them hang from the trees made me realize that I was truly in an exotic environment. 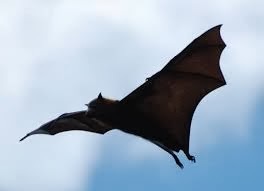 Under Australian law, the bats are classified as a threatened species. Nevertheless, the authorities thought it more important to protect some of the Botanic Garden’s palm trees, which are mostly introduced and not threatened, rather than set aside a portion of the Garden for the bats. The bats needed this refuge since their natural coastal habitats have been destroyed by urban development. So the “eviction” of the 22,000 bats came as a surprise when I visited the Garden this morning. It reminded me of Brisbane’s decision not to rebuild its unique Mangrove Boardwalk. The Botanic Garden’s new palm plantings, where the bats once lived, was pretty but seemed stark and sterile.